Get Reliable Perth Alarm Monitoring With Us. Get Grade A1 Alarm Monitoring in Perth of your alarm system, this is the highest grading in the Australian market. This helps to ensure you have the highest level of monitoring possible. Rapid Alarms offers multiple types of alarm monitoring options with very competitive pricing that follows. Below are some of the different ways we can monitor your security system. Our monitoring options start from as little as $5.50 per week, a small amount for great peace of mind when it comes to truly protect your property and possessions. Your insurance company will also provide a discount when a monitored alarm is used offsetting your monitoring fees. Alarm monitoring is when you have your security alarm system set up to communicate its alarm signals to a security control room. This can be achieved through multiple methods including. There are Pros and Cons to each method of monitoring type to take into consideration. Our control room holds the highest Australian accreditation of Grade A1. 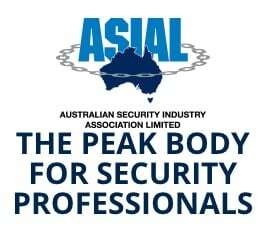 For more information contact us and speak with one of our licensed security consultants. How can you get your alarm system monitored? What brand is your alarm system? After we have answered these three easy questions, we can then attend your site and get your property and possessions secured and safe helping you to sleep easy.